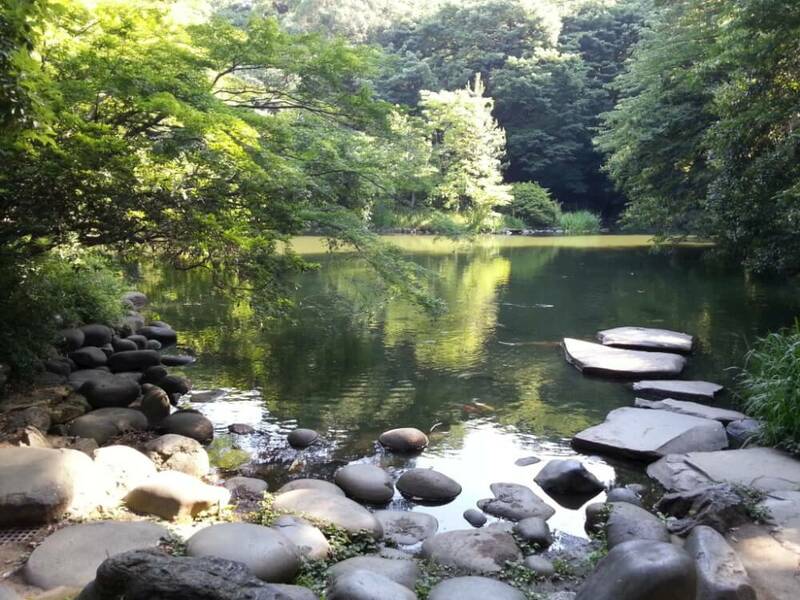 Found in a central part of Tokyo, Sanshiro Pond is a spot of nature often missed by tourists. The pond has a significant place in both literature and Japanese history, which may have been hinted at merely by its location within the hallowed grounds of the University of Tokyo (or Todai in short – 東大). It is a great place to visit alone, with a lover or as a family. 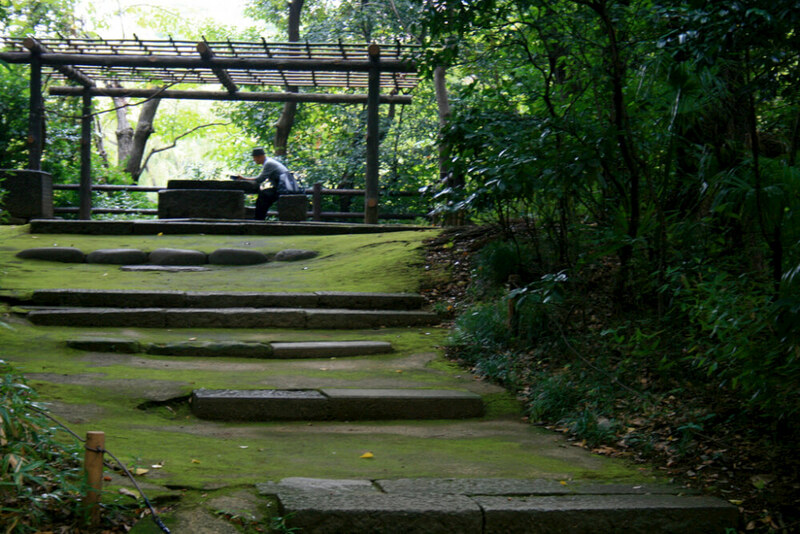 Upon entering the Sanshiro Pond area, a signage is erected on the left of the stony path describing the history of Sanshiro (dating back to 1615). 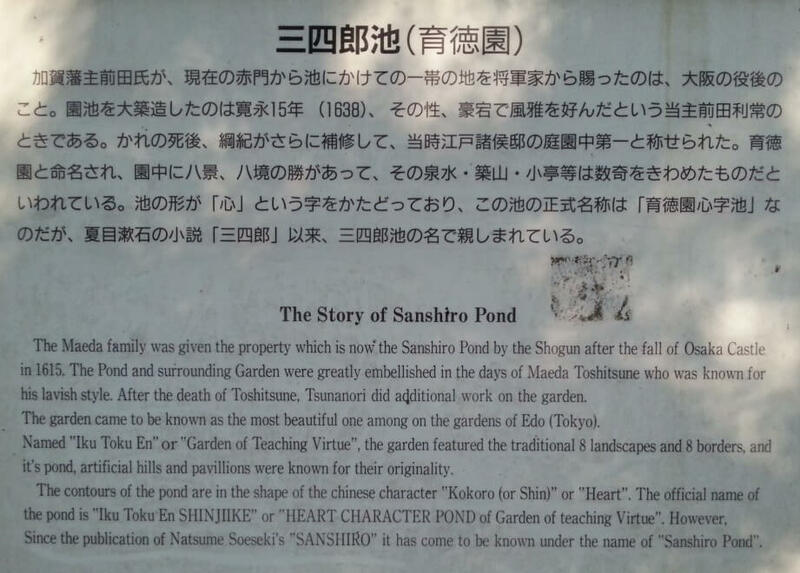 Its present day name, “Sanshiro Ike” was popularised as the pond was an important setting in famed Japanese writer Natsume Soseki’s novel 「Sanshiro」. It is difficult to imagine transitioning from one of the densest cities in the world to a peaceful and tranquil setting, with thick seasonal foliage and large but graceful koi swimming in the quiet waters. There is circular trail around the pond, carved out with wooden or stone steps, at times reaching very steep gradients. Navigating around the pond brings about new surprises.